Our Thai Pesto is made on our Dairy Free Pesto base with the addition of chilli, ginger, lime and fresh coriander! It’s perfect to lightly spice up pasta, stir fries or antipasto dishes. It’s Dairy Free, Vegan, Gluten Free, has no added sugar or sweetener, and is loaded with fresh herbs. 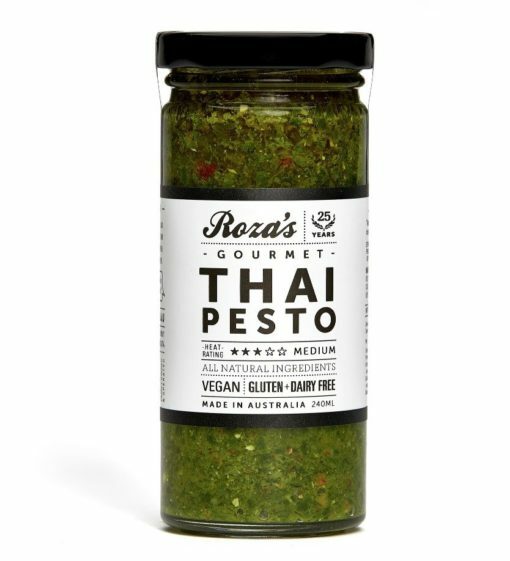 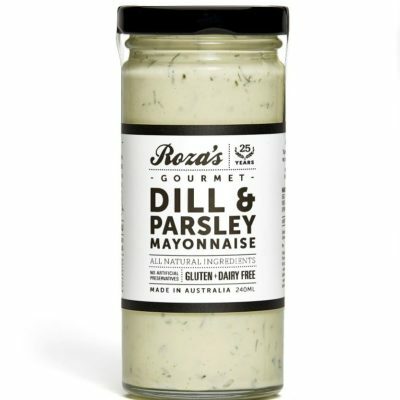 Use it just like you would a pesto as a dip, spread, or pasta sauce, but it’s also really versatile with the coriander flavour – so try it on fish, chicken, Asian style vegetables, rice, noodles, or even add a tablespoon to your soup.